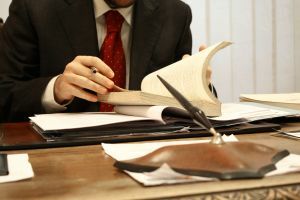 Many a Boston Social Security Disability Insurance claim has been denied because the claimant was unable to prove disability so severe that it rendered him unable to perform even sedentary work. Of course, one must consider that for someone who worked in a very physical occupation, such as nursing or construction, opportunities for employment will be extremely limited for someone who has severe limitations with regard to sitting, standing, walking, squatting, pushing, pulling and lifting. Yet this is the standard that is so often applied by the Social Security Administration and the Administrative Law Judge, who is responsible for reviewing the claim if it’s rejected and then appealed. The recent case of Mays v. Colvin, reviewed by the U.S. Court of Appeals for the Tenth Circuit, reveals why these cases are so tough to litigate. Court records show that the claimant first filed for disability benefits in the spring of 2004, with the administrative law judge noting she had not engaged in substantial gainful activity the alleged onset date to the date her insurance coverage had ended. The administrative law judge also noted that the claimant suffered a “severe impairment of the lower back.” However, this alone was not grounds for disability as the condition didn’t meet or medically equal the regulatory listings, either alone or in combination. The judge then looked at the claimant’s residual functional capacity. The administrative law judge found that she was able to perform a “full range of sedentary work.” This was in spite of the opinion of her treating physician, who determined she was not capable of performing any type of work. The judge, however, decided there were a number of jobs that the claimant could perform, so long as she continued to take her numerous powerful pain medications. The claimant appealed this finding on the grounds that the SSA failed to provide a complete administrative record and that the ALJ did not properly analyze the source medical evidence. The first claim related back to her doctor’s assessment of her residual functional capacity. The doctor had provided an updated assessment that downgraded her ability to sit, walk and stand. While a vocational expert had testified that, based on the amended report, there would be no competitive work available for a person with those limitations. While the doctor’s amended report was mistakenly omitted from the record, the reviewing district court found that the amended version was in the record and adequately considered, via the vocational expert’s testimony. Still, the ALJ weighed only the original assessment in its ultimate finding. However, neither the reviewing district court nor the appellate court found an error there. Responding appropriately to supervisors, co-workers and a certain degree of work-related pressures. These are not necessarily easy to prove, particularly if the disability is primarily physical. Navigating through these kinds of complex cases will be much easier if you are aided by an experienced SSDI attorney. If you are considering filing for SSDI, call for a free and confidential appointment at 1-888-367-2900.